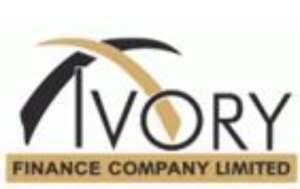 Ivory Finance has told Citi Business News it still stands by its case of being owed by SIC Insurance in a breach of contract in a credit guarantee case currently before the court. The Supreme Court, on Wednesday February 21, 2018, ordered that all parties return to the High Court for the court to sit over the merits of an allegation of fraud leveled against Ivory Finance by SIC. This comes after the court ordered SIC to pay an amount of 19 million cedis to Ivory Finance for breach of contract by a client of SIC Insurance, Ital Construct. But the CEO of CDH Group, owners of Ivory Finance, Emmanuel Adu Sarkodie maintains his company is least perturbed. “It is okay because when someone accuses you of fraud and goes to court seeking to be given a hearing. But we have heard their submission and essentially they want to clear everybody's mine that there is no fraud. What is the point of getting money that is painted with fraud so we are happy with the judgement; the status quo remains and interest rates continue to accrue and we have our concerned judgement still standing,” he indicated. Mr. Adu Sarkodee further maintained that the current decision of the apex bank, should not affect the case in its entirety. “For us it doesn't have any bearing we would rather this matter is resolved in the Boardroom but if the SIC Insurance chooses to treat disagreement with their client in the court of law, it is fine, we will work it,” he added. Earlier the Managing Director of SIC, Stephen Oduro, commenting on the ruling told Citi Business News the Supreme Court’s decision will restore the company’s reputation and improve its business performance. The case which has been dragging at the courts over the past five years, has led to the dismissal of SIC's former Managing Director, Doris Awo Nkani. Though Ivory Finance claims it is due some 91 million cedis (comprising 19.3 million cedis principal plus interest), Mr. Sarkodie tells Citi Business News it is yet to receive any extra payments after SIC paid the principal as ordered by an Accra High Court.